I have mentioned my two cents regarding big five assessment model. Many companies use them to recruit their employees. They are very popular in the job market. Critics have their valuable disagreements on their integrity. This Wednesday, a self-claimed behavioral scientist has responded to my views on big five assessment. Without defending, I am publishing his viewpoint. You have every right to agree or disagree! As a Behavioral Scientist (not a psychologist) I was intrigued when I stumbled over your comments concerning the Big 5 Personality Tests. I commend you for your frankness and honesty. This is an area (personnel psychology, or Industrial - Organizational psychology) which forms the center of my educational and professional activities. I read your comments with great interest. 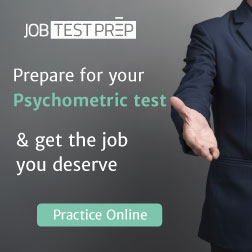 I certainly understand what a significant undertaking it is for someone who describes himself as non-technical and not a psychologist, to venture into this field. This area is crowded with technical jargon. Perhaps your unfamiliarity with the peculiarities of this area of research has lead to some misunderstandings regarding the Big 5 model of personality, personnel selection and assessment practices and psychological assessment in general. To be of assistance, I would like to offer some of my own observations and comments. To make it easy to understand, for both our benefits, I shall move through your comments section by section. Robust, empirically validated tools include what is commonly known as a "Social Desirability" scale. This controls for the contamination of test responses by the candidate's nature desire to please with a "correct" but not necessarily honest response. Any tool must demonstrate its capacity to assess accurately and reliability, without contamination by other factors, the attribute/s it purports to measure. 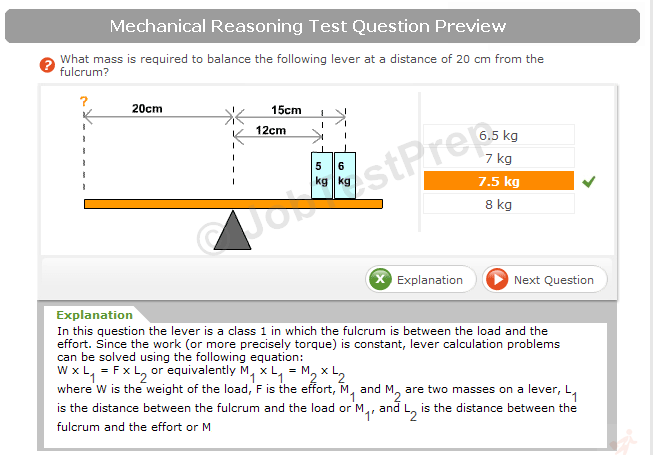 This demonstration is provided in the technical manual of psychological tests, and is reported using psychometric techniques. Any professional worth their salt will evaluate the robustness of such validation data before they dare consider using any psychological tool. This is a fundamental concept taught to every and all undergraduates. In my country, in order to access such tools, you must possess a particular level of education, which includes knowledge of psychological assessment theory and practice, as well as psychometric. Big Five Assessment Tests at Wikipedia The Big 5 model is based on empirical research, and as such is a descriptive model of 5 broad factors of personality as documented through research. It most certainly should not be confused with a theory. A forest is not the same as a tree. Research into the model has resulted in psychologists developing theories to explain why there is evidence of 5 broad personality traits. The fact, however, remains. The Big 5 is not a theory. Your assertion that personality traits are greatly changeable, malleable or plastic, does not seem to be supported by the evidence into personality traits. Whilst change does occur, one's basic temprament and certain elements of personality remain intact throughout our lifespans, and personality has been demonstrated to establish once an individual enters adulthood. I also suggest you examine the research in HEXACO model of personality, it is a further interesting development in the area, in addition to reviewing Wikipedia. This will be an excellent staring point to understand what the Big 5 are, and what they are not. You are absolutely correct. Cultural influences play a significant role in influencing personality trait behaviours and test taker response to test items. However, you seem to be unfamiliar with the substantive research into this area. I suggest a read of Geert Hofstede's work into cultural variables, as well as Deal & Kennedy, Charles Handy and Edgar Schein. I also suggest familiarizing with yourself with Hogan and Roberts ("Personality Measurement and Employment Decsions: Questions and Answers") and Marcus, Lee and Ashton ("Personality Dimensions Explaining Relationships Between Integrity Tests and Counterproductive Behaviours") for starters. I think that you would most benefit from a review of Paul Costa and Robert McCrae's article titled "Solid ground in the wetlands of personality: A reply to Block." There is empirical evidence that addresses concern regarding the lexical and questionnaire traditions of the Big 5 that most critics rely upon in this assertion. This article provides a review of such evidence. It was published in the 117(2) edition of the Psychological Bulletin, in March 1995. A quick review of the aforementioned Wikipedia article should remedy any lingering confusion. Extraversion, Agreeableness, Conscientiousness, Neuroticism and Openess to Experience. ...but this is why only appropriately skilled and trained individuals who understand this effect, it's influence and potential for contamination, it's control and the proper interpretation of the meaning or applicability of test results are permitted to use these tests in my country. The empirical evidence does not agree with you. The research into this is too vast for me to encapsulate into a couple of studies for you. I suggest you undertake a literature review, meta-analysis, to ascertain what the evidence shows. Your claims here are not supported by the evidence provided by research into this. Take a look at Kierstead (1998), Hogan, Hogan & Roberts (1996), Schmidt & Hunter (2004) - just to name a few. Diversity is a valuable attribute of any organisation, generally speaking. That is true. What you may not be aware of is that the process of job analysis, following appropriate empirical design, includes diversity factors and does not exclude them. As a scientist, I am interested in evidence. I am not limited to a purely empirical viewpoint, by any means. In grappling with this area, it greatly aids comprehension of the subject matter, future challenges and limitations, if one is aware of the research, theories and their applications to personnel selection practices.